Penn State University Press, 9780271026350, 244pp. ""David Galef presents his research and analysis in an argument so convincing that readers will find it extremely useful in terms of both its hermeneutic and epistemological views. He has produced insightful responses to specific works by Joseph Conrad, E. M. Forster, and Virginia Woolf and has also offered useful responses to broad questions relating to a range of aspects of narrative theory. 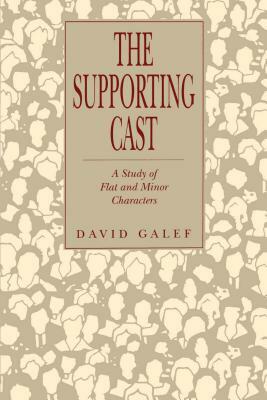 Specifically, Galef gives attention to the function within selected novels of individuals other than the principal figures, and he makes additional distinctions between flat and minor characters through an argument made no less sophisticated by its accessible prose style. ""-Michael Patrick Gillespie, Marquette University For every Hamlet, there is a supporting cast; for every Mrs. Dalloway, an entire realm of subordinate portraits. Yet if literary criticism cares at all about significant detail, emergent patterns, and the subtleties in narrative, flat and minor characters are crucial to an understanding of the fictional process itself. Beginning with E. M. Forster's landmark study of flat and round characters, this book is both a critical and writerly examination of the species: Why are certain minor characters so salient in readers' minds, and why are flat characters often so comic? Is a name enough to create a character, and if so, what is the vanishing point of characterization? The walking allegory, the narrator, the disrupter, the doppelg nger-how are they used, and to what effect? The Supporting Cast first explores the theoretical limits of character, from structuralist taxonomies to reader-response concerns, with examples culled from a wide range of literature. He then applies these concepts, in chapters of sustained analysis, to works of Conrad, Forster, and Woolf. The work also provides comments on flat and minor characters in other media and a full-scale character index of Woolf's Jacob's Room. David Galef is Assistant Professor of English at the University of Mississippi.